Brooklyn's Dry Irish Stout is brewed using a traditional recipe that is meant to render a sessionable beer that is light in both alcohol content and calories. Brooklyn has done a solid job in that respect as this is one of the lightest beers the New York brewery produces seasonally. Brooklyn Brewery has always been one of my favorite micro-breweries because I've been a fan of what they've been able to do in the market. 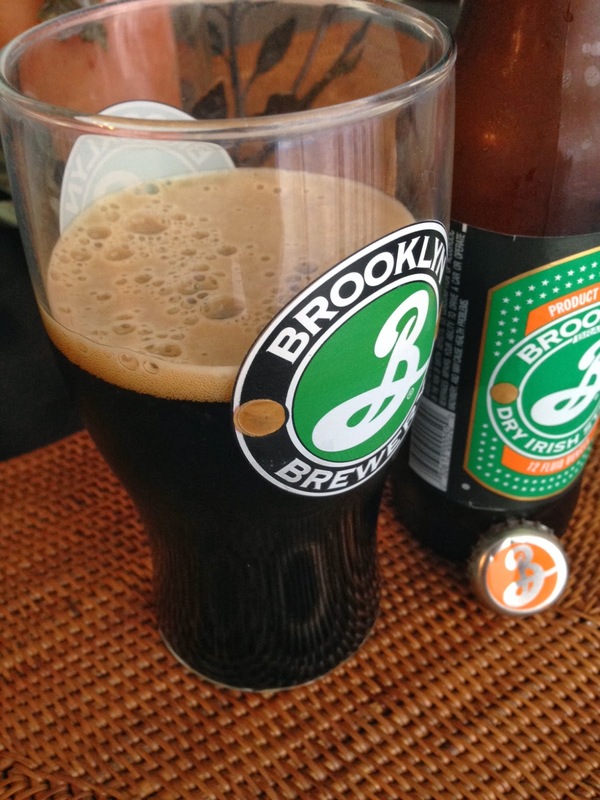 I believe Brooklyn is one of the more recognizable labels out there and they've done a respectable job creating a national presence for themselves. Plus, they are the creators of Black Ops, which may or may not exist. 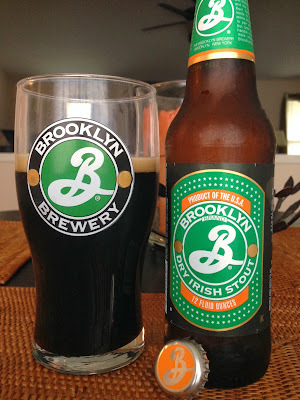 This review, however, turns the spotlight to one of Brooklyn's less notable brews--Dry Irish Stout. There's nothing gimmicky or fancy about this one. It's a light(er) craft beer trying to appeal to folks with an appetite for roasted malts, chocolate, and espresso in their beer. Appearance: Pitch black with a rusted-cream head. Aroma: Sweet malts and bitter chocolate. Not a very appetizing smell, to be honest. Saying I smell chocolate might even be misleading. The nose is faint and stale. Taste: There's a blend of bitter-sweet tartness that hits the palate first. I faintly pick up on the roasted malt, coffee, and hazelnut flavors before the beer transitions into something very unexpected. The finish is overwhelmingly tart and fruity (raisins and dates). I say this is unexpected because I was waiting for the bitterness from the chocolate and coffee to take over, but it never does. Mouthfeel: The body of this beer is medium to heavy. There's more carbonation than one might assume and, like the flavors, I don't think it completely works. Overall: Something just seems "off" with this beer. The beer smells flat. The flavors don't mesh well. And the amount of carbonation doesn't fit with the heaviness of the body. It's as if this beer is going through an identity crisis. And honestly, I have enough problems of my own to be dealing with its drama right now. Sorry, Brooklyn. I love ya, but this one just didn't do it for me.